You may know Shakira from her cute named songs like Waka Waka, Ojos Asi or Hips Don't Lie. But who is the real Shakira, other than a pretty singer with hot dance moves? Let's get to know her better with these 23 interesting facts about her life! 1. 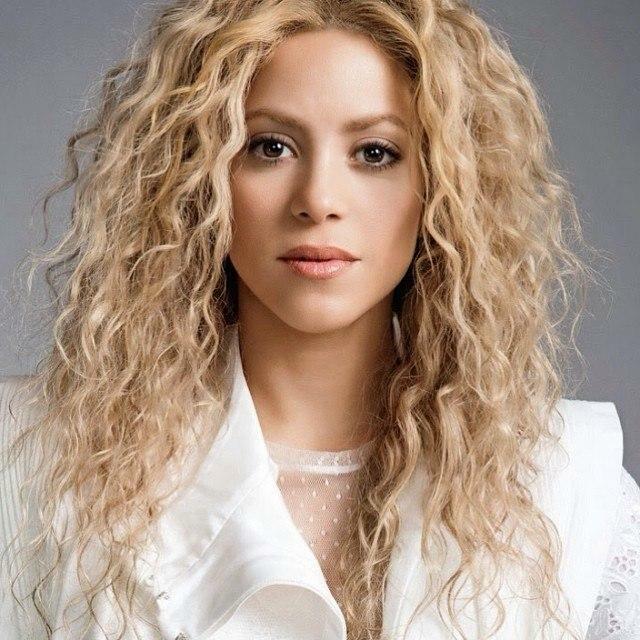 Shakira's father is Lebanese and mother is Italian-Spanish. 2. Shakira is the youngest of 8 siblings! She has 7 step siblings from her dad's first marriage. 3. She lost her brother at the age of 2. A drunk driver hit him while he was driving a motorcycle. The accident was a devastating trauma for the family. 4. Her grandmother taught her how to dance! The master behind all the figures! 5. Her first album came out when she was 13. She wasn't happy with the album sales but she continued on with her career. 6. Her first song was about her father! The song is called Tus Gafas meaning "Your Black Glasses." It narrates the hard times her father had been through after her brother's death. 7. Her light shined with the ''Laundry Service'' album. Laundry Service is her first English album. She received 4 platinum certificates with this album. When asked about the album's name, Shakira stated that she made an album with new, clean songs and a refreshed style, then she saw a new woman in the mirror, so she called it "Laundry Service." 8. She refused a role offer for the movie "The Mask Of Zorro." She was just getting famous and she thought her English wasn't good enough for the role. Catherine Zeta Jones got the role instead. 9. Shakira won the ALMA humanitarian award in 2008. Shakira founded Pies Descalzos, a Colombian charity that runs special schools for poor children. She has taken part in a multitude of benefit concerts and has visited many people affected by natural disasters, including the victims of Hurricane Sidr in Bangladesh. It was revealed at the 2007 Clinton Global Initiative that she had donated a massive $40 million to help the victims of natural disasters around the world. She acted as Chairperson for the Global Campaign for Education's Action Week to generate awareness about the Education for All Act, during which she spoke with a number of world leaders to promote a move towards Global Education. 10. She's fluent in 5 different languages. Portuguese, Italian, French, English and Spanish. 11. Her favorite flowers are daisies and sunflowers. 12. Her dream job was to be a psychologist! She explained that if she didn't become a singer, she wanted to be a psychologist or an astronomer. 13. Her hobby is drawing! She loves to draw in her spare time. 14. Her favorite food is chicken wings. She has a long list of favorite foods consisting of Arabic cuisine, seafood and every type of chocolate. 15. Her IQ is 140. 16. Her favorite colors are black and white. 17. Eating chocolate is like an obsession for her, but she doesn't like candy. 18. She doesn't like wearing jewelry. Except rings. The Colombian singer has a ring collection. 19. She's the highest selling artist in Colombia. And she's had this record in her hands for the last 18 years. 20. Her birthday is the same day as Gerard Pique's (her husband) birthday. February 2! The couple celebrates their birthday together. 21. She's the queen of real estate! She owns houses (mostly mansions) in the Bahamas, Miami, Colombia and Barcelona. 22. Shakira's sign is Aquarius. She believes she is carrying all the characteristics of her sign. 23. She plays tennis 3 times a week. She never misses the practices. That's why she's usually caught by paparazzi in the tennis courts of Barcelona.